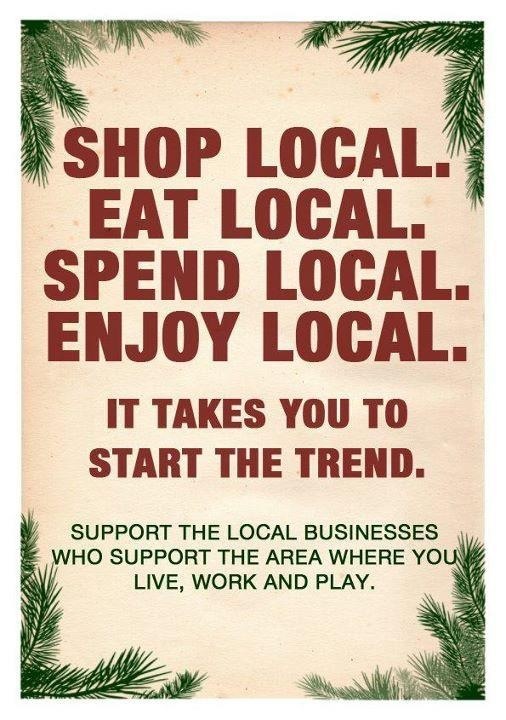 There’s been so much chat and talk about supporting local economies by buying local this Christmas – which is wonderful. BUT it brings about the question – what is local? Do you have thoughts on this? So I’ve been thinking about it in our own context. We have totally reduced our expenditure (like so many others) this Christmas, but what we have been spending we’ve tried to do as ‘local’ as possible. Do you classify local as being within a certain radius? If I was to set a, say, 4, mile limit to my shopping I’m afraid those of you getting gifts would not be getting much! We have 2 tiny corner shops within that radius – one 2 miles away and the other 3 miles away – not even sure you’d get a box of chocolates in either! Spread the net a little further – say 10 miles – and the choice improves somewhat. We can get as far as Portumna or Birr then, and as in most years since we moved year, we have managed to do the majority of or Christmas shopping in Birr this year. We’ve also combined some shopping with delivery runs. I’ve roped my niece in Dublin into running a few errands for me (thank you!) which she has done in her locality. So I guess for us ‘local’ constitutes nationwide really. Wherever you shop if you are contributing to your local economy, buying from small independent stores, or direct from your local producer/farmer, it is helping to sustain jobs and revive our so badly damaged economy. Thanks to Chef Wade Murphy for the photo. It may be late in the day to be saying it, but I know lots of people will be rushing out to stock up for the weekend…. well, as you do, try to think of the small local retailer/producer/supplier who is probably relying on these few weeks in December to help him/her survive! It doesn’t matter where in the world you are…. shop local!